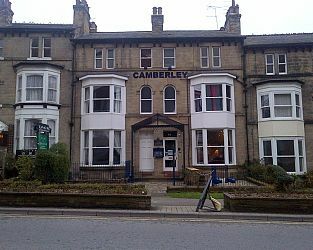 We are an 11 bedroom (all ensuite) provider of Guest Accommodation in the town center of Harrogate. We have free wi-fi throughout, free on site car parking and provide a full locally sourced breakfast. 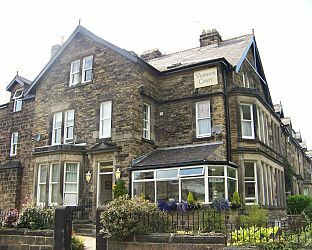 Shannon Court is a 4* standard guest house offering quality bed and breakfast in central Harrogate. All rooms are en-suite, and Shannon Court guarantees free parking throughout your stay, and free wi-fi throughout the building including all bedrooms. Please book directly with Shannon Court on 01423 509858, or select http://bit.ly/bookharrogate to get the best rates. Visit Knaresborough North Yorkshire and the surrounding villages and stay in bed breakfast, hotel or self catering cottage accommodation provided by BedPosts members. Knaresborough in North Yorkshire is a market and spa town situated a few miles from Harrogate. Visitor attractions include Knaresborough Castle, Mother Shipton's petrifying well and the Knaresborough Bed Race. If you seek accommodation near Knaresborough in North Yorkshire you have come to the website of a “club” of providers who offer affordable quality accommodation around UK in hotels, bed and breakfasts, guesthouses, inns, and restaurants plus self-catering cottages and apartments .